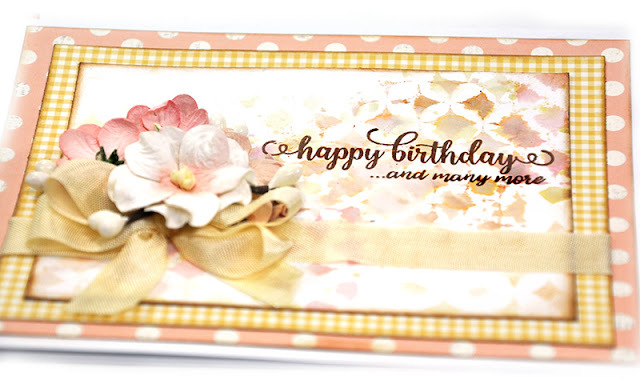 JustRite Papercrafts has a fabulous selection of birthday sentiments in a variety of fonts and styles. 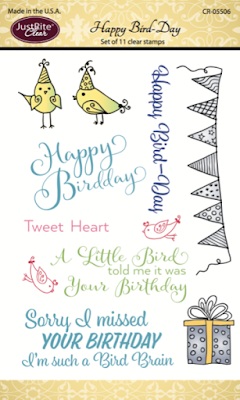 You'll be reaching for these sentiment stamps year after year because birthday wishes NEVER go out of style. 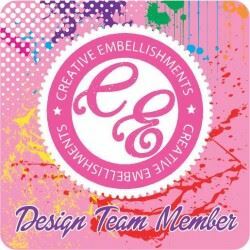 I received the new stamp releases from JustRite Papercrafts and I'm having a ball stamping to my little heart's delight. JustRite -Happy Birthday Sentiment One -clear stamp for the sentiment and made the background by stamping with the JustRite Mod Stars Cling Background stamp. 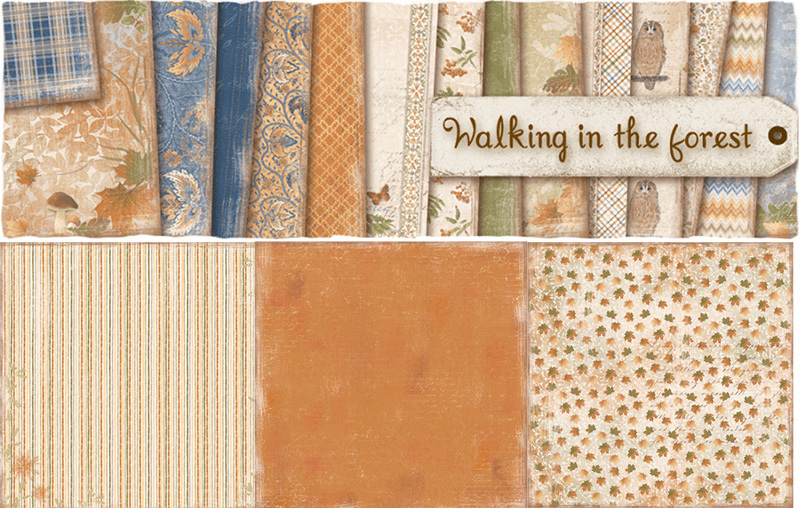 I used JustRite Watercolor Paper Layering Swatches for my image. This product comes in perfect card size: 4"x 5.25" and contains 100 sheets of watercolor paper perfect for layering. 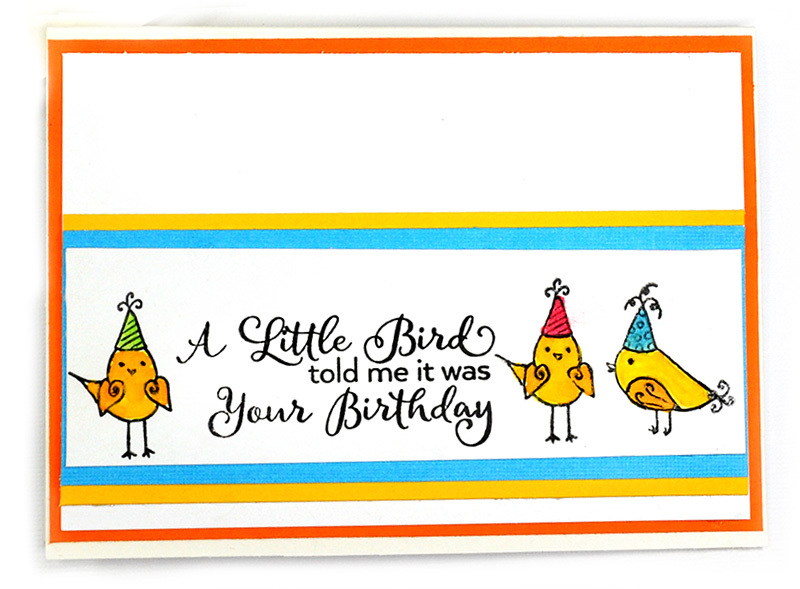 JustRite has a line of birthday sentiments that should be headed to the top of your list when you need a quick birthday card. I've created some quick cards for those times when you need to "dial it back" a bit (embellishly speaking) and make a cute, simple card. 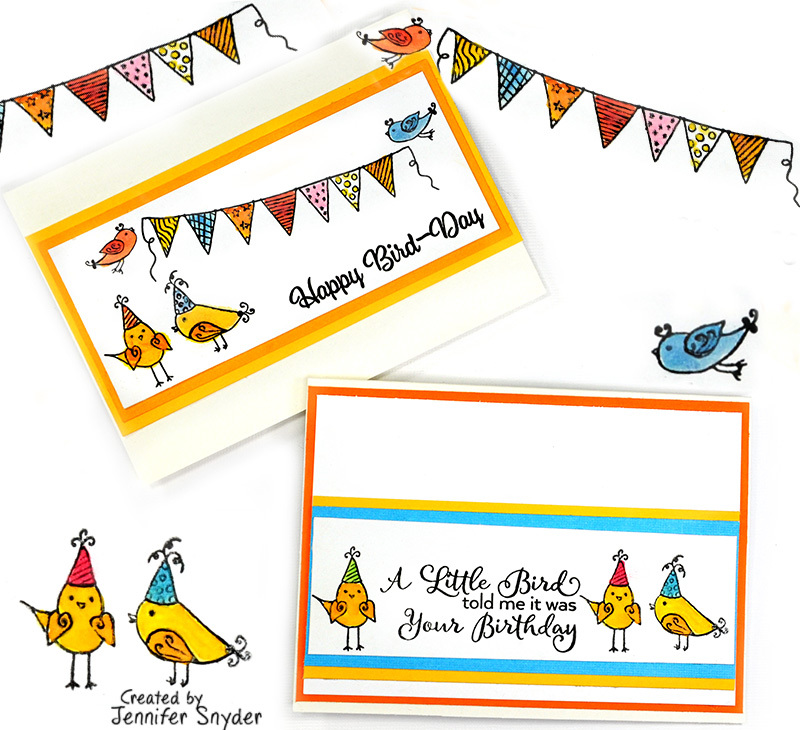 The images above and below are from the JustRite Happy Bird-Day Clear Stamps set. The details are totally darling. You can see the whole stamp set if you scroll down a bit. The cards are clean, simple and actually "do-able" in a few minutes. 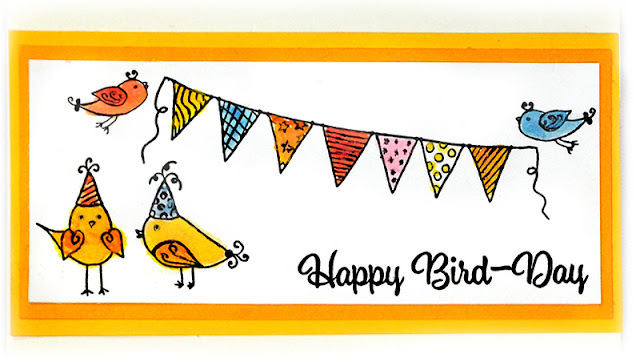 Sometimes you need a quick card, perhaps for a child's birthday. 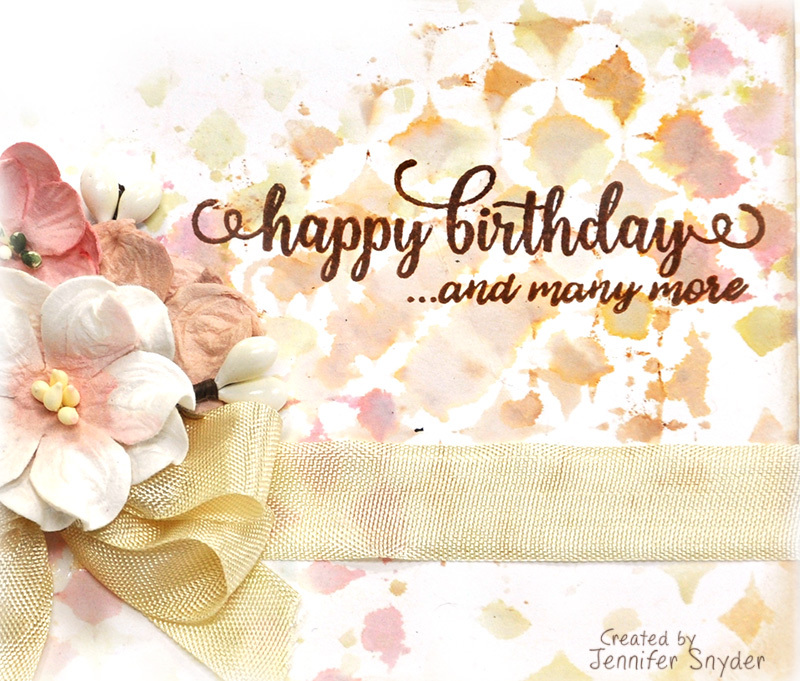 Heck, no child wants to receive a card with a bunch of fancy flowers on it (my typical style). And no child wants to be "that kid" who goes to a clasmates birthday party with a flowery over embellished card - once again, my typical style. Like I said, sometimes ya just need to "dial it back" and make a card. 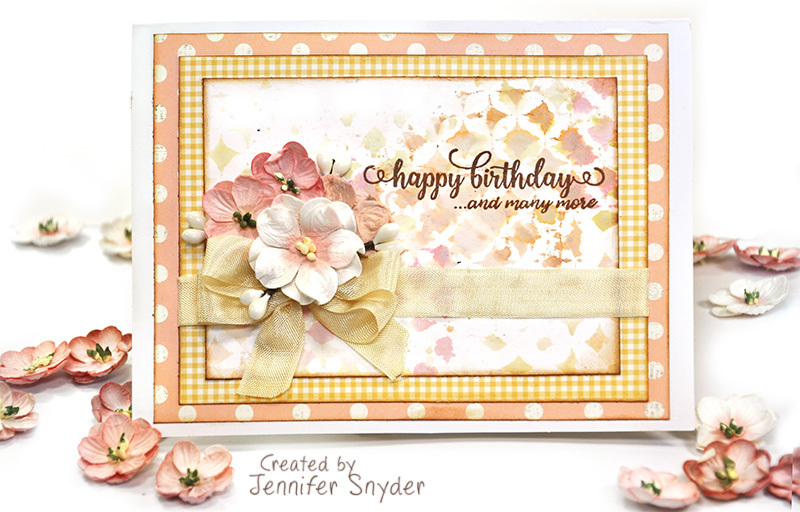 I used JustRite Watercolor Paper Layering Swatches for my image. This is the second clean and simple card I made. This was created using JustRite Happy Birthday One -Clear Stamps stamped onto JustRite Watercolor Paper Layering Swatches. It's bold, fun and eye-popping. And even better - made in a snap. 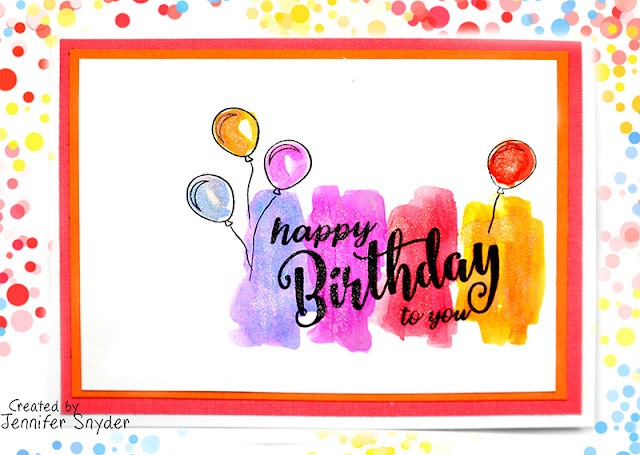 The JustRite Watercolor Paper Layering Swatches comes in perfect card size: 4"x 5.25" and contains 100 sheets of watercolor paper perfect for layering. Have a wonderful day and keep life simple today. A relative has one of "those" milestone birthdays approaching. 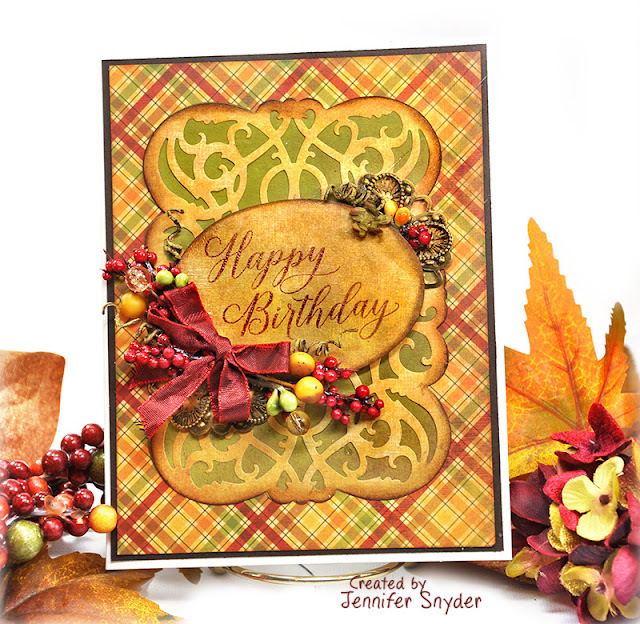 I set out to create something fitting with the colors of Autumn featuring rich warm oranges, reds and yellows. 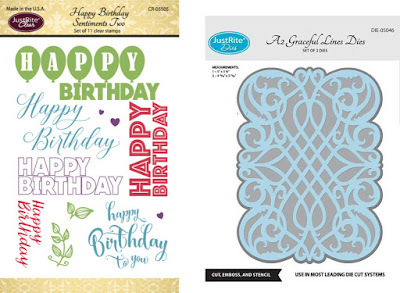 JustRite Papercrafts has a fabulous selection of birthday sentiments in a variety of fonts and styles. These are stamps that you will reach for year after year because birthday wishes NEVER go out of style. My paper choice was from an older collection of Reminisce paper. I love love love anything plaid and this warm collection satisfies my vision for the Autumn themed Birthday card. Best of all, the paper is still available. After cutting my Graceful Lines Die , I felt like I needed to add a dab of Distress Ink -Walnut Stain to the edges of the die to help make them pop. I felt the die got lost in the plaid pattern with out some sort of bolder accent. 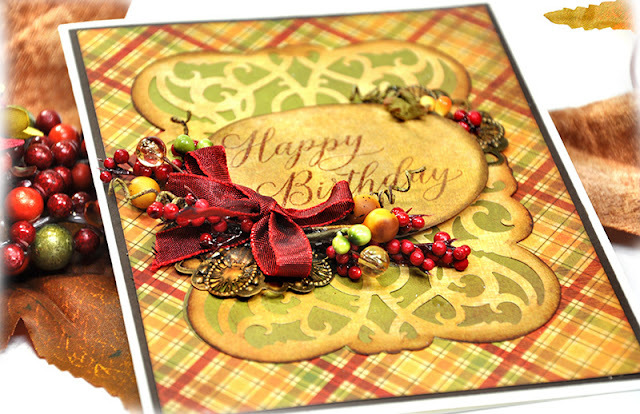 Here is one more view of the card showing the dimension of the embellishments. I'm almost ready. Got a few more decorations to put around the house and a couple more cards to make and send. Then I'll sit back and adore the spooky festivities. 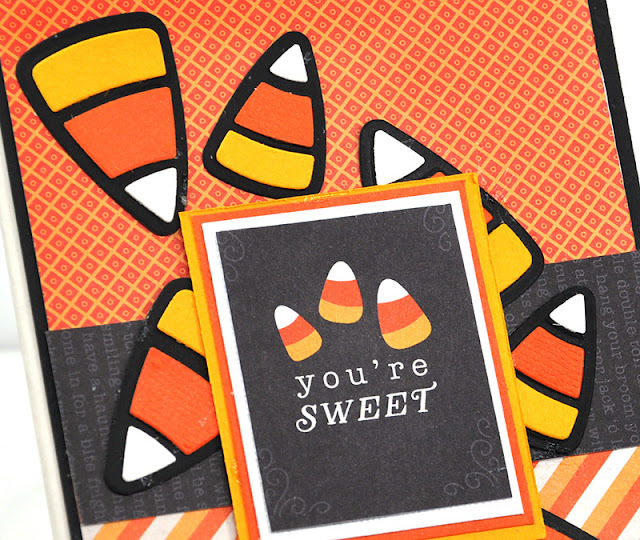 According to retailers, Halloween is the second largest holiday in the U.S. in terms of spending. 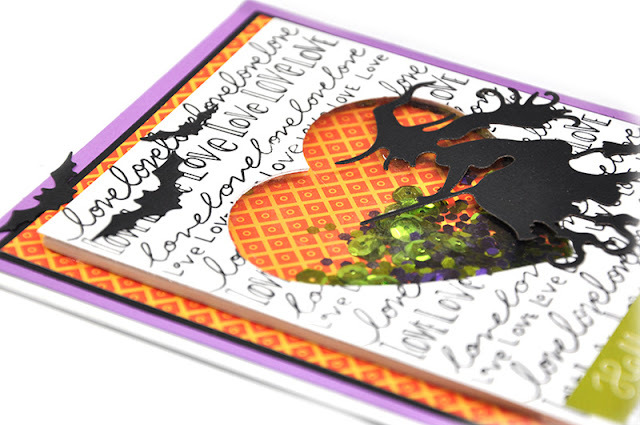 Well, who can blame us when companies like Spellbinders have hauntingly darling designs for the season? I've used only a few of the Spellbinders Halloween dies on these cards but you can see them all right here. Here are a few other cards I made using some other amazing dies from Spellbinders. Time to share the cards one at a time. First one is the haunted house card. 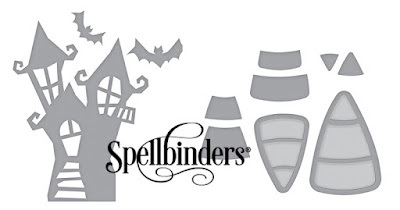 I adore the little bats that come with the Spellbinders - Haunted Manor also. The frame die I used for the background of the house was Spellbinders Nestabilities Oval Ironwork EtchedDies - a great die to use for so many occasions. 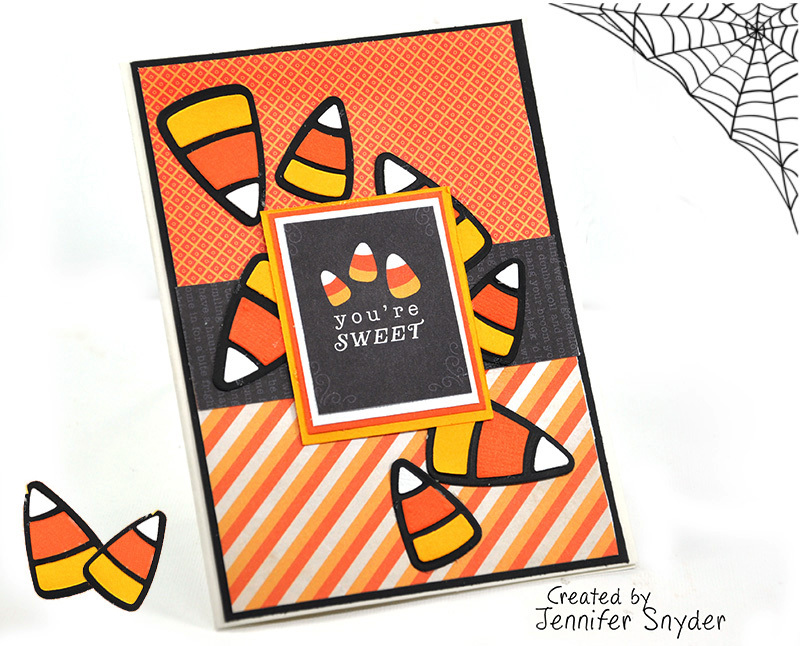 This is my candy corn card. Man I just LOVE candy corn. Sad that these little nuggets of delight are around just one a year. While I realize there are other marshmallow shaped candies available, like pumpkins, it's gotta be candy corn shaped. No other shape will do in my opinion. All others need to step aside. 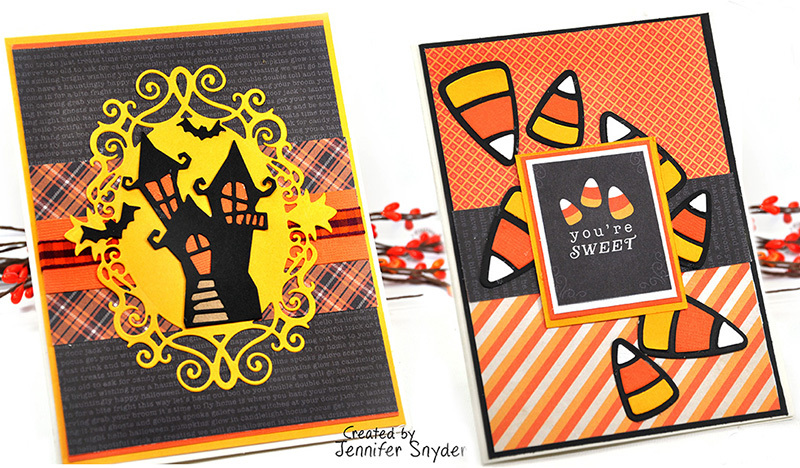 My paper choice for both cars is Pebbles -Midnight Haunting 6x6 paper pad . 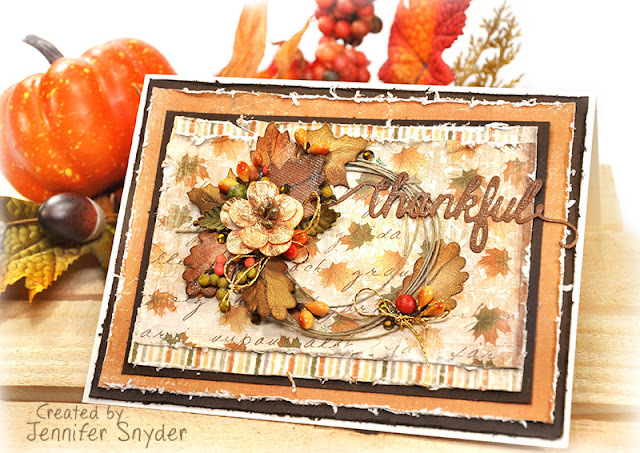 I combined some stamping with embossing. Create a card with a lot of whitespace. 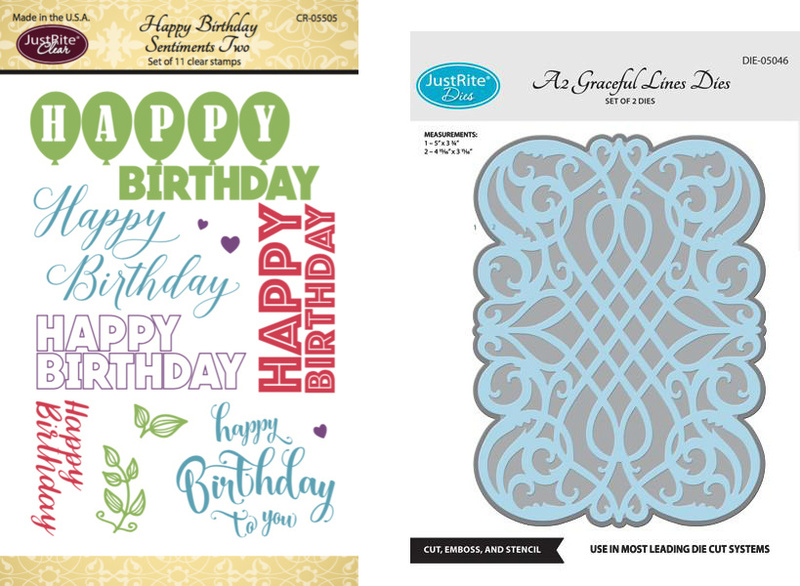 The whitespace will have some texture from an embossing folder. Add some clean simple stamped sentiments. My vision seems easy enough and yet my first attempt failed because I did not think through the process. I forged ahead and got caught up in the fun creativity (which is a good problem to have I guess). And just what was my failure? 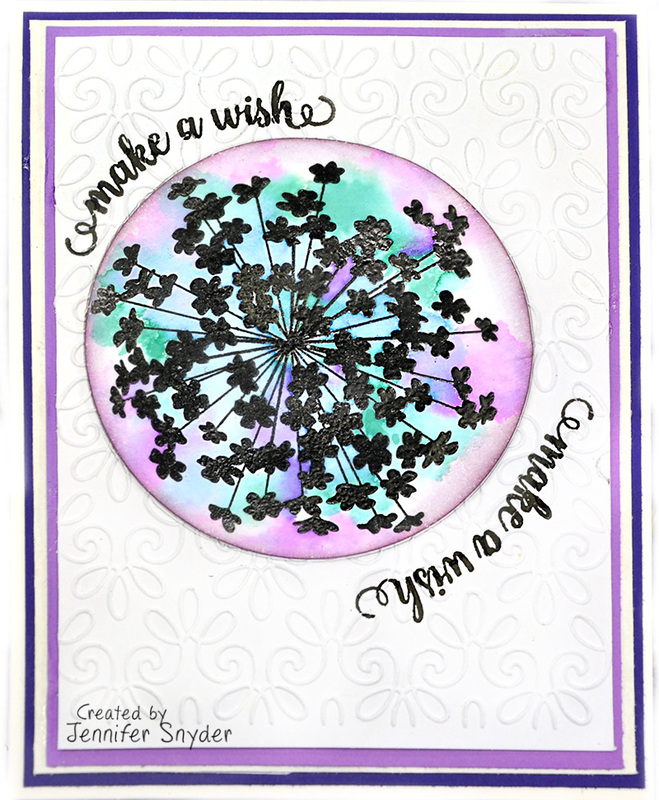 I was having fun embossing with Spellbinders Flourish Stitch Em-bossing Fold'ers Quilt It and liked the way it turned out. 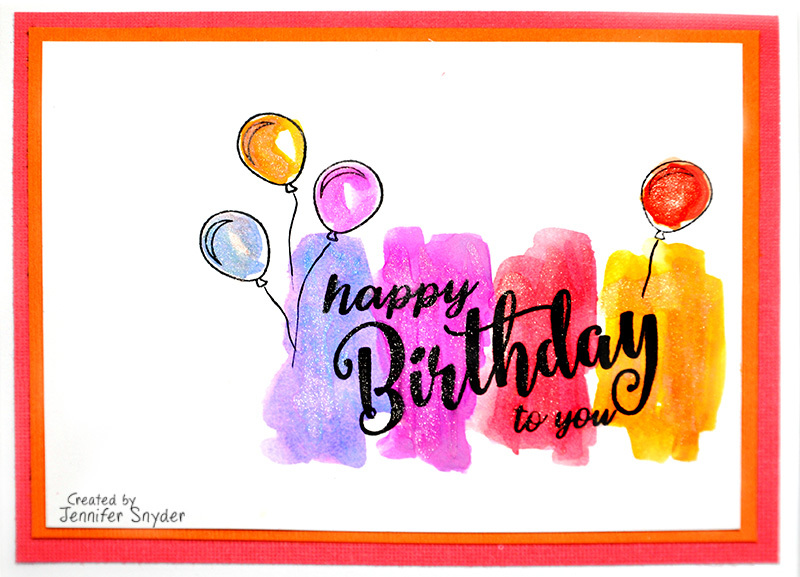 Then I decided to add the perfect finishing touch to the card - a stamped sentiment using JustRite -Happy Birthday Sentiment One -clear stamp. Womp Womp....nope - cannot stamp after embossing . While obvious to most, I simply didn't realize the stamping would not be crisp when added over the raised embossing. Like I said earlier, I got caught up in the fun creativity. 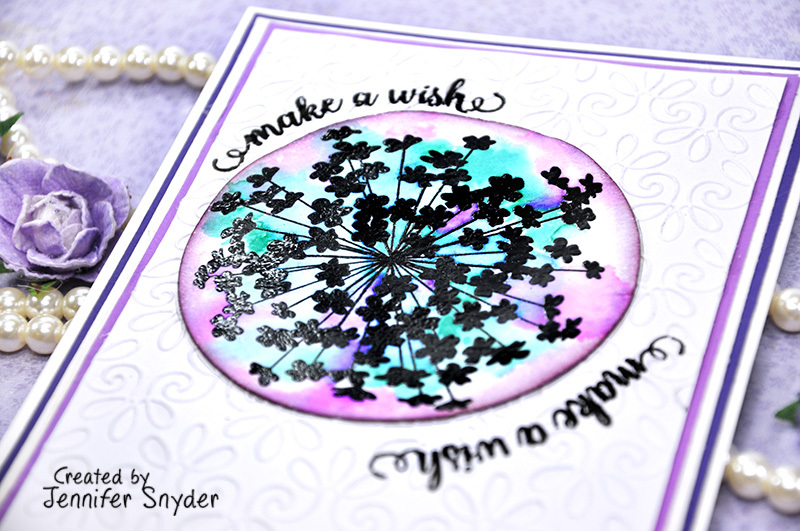 I thought I'd share a quick tip/tutorial because of my embossed and stamped combo card failure. I'm trying to save you some misery, time and products as we learn from my mistakes. Though I am sure most of you are waaaaayyyyy ahead of me and would not make this mistake. This card has a few steps to it. 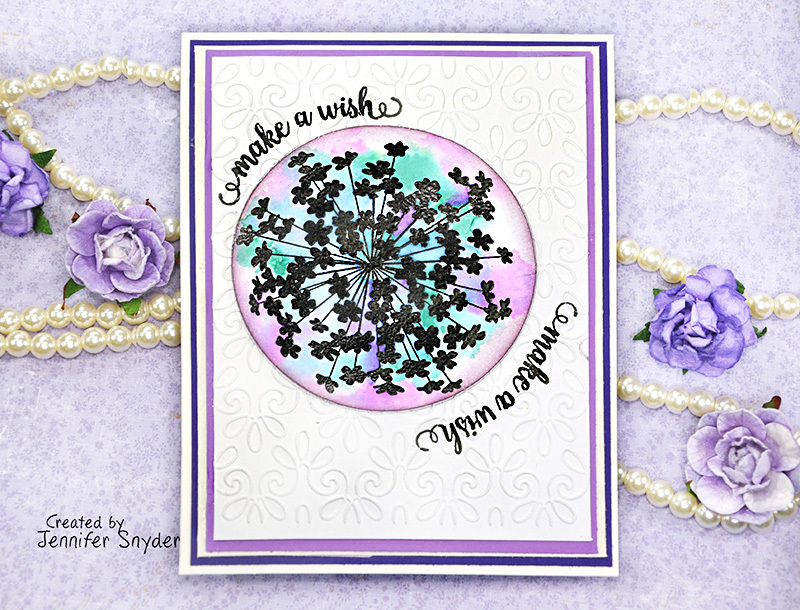 First I created my focal point - the stamped flower image. I thought this resembled dandelions gone to seed. I used to love to blow then in the yard to make a wish. After I stamped the image, I set it with Clear Embossing Powder (super fine). 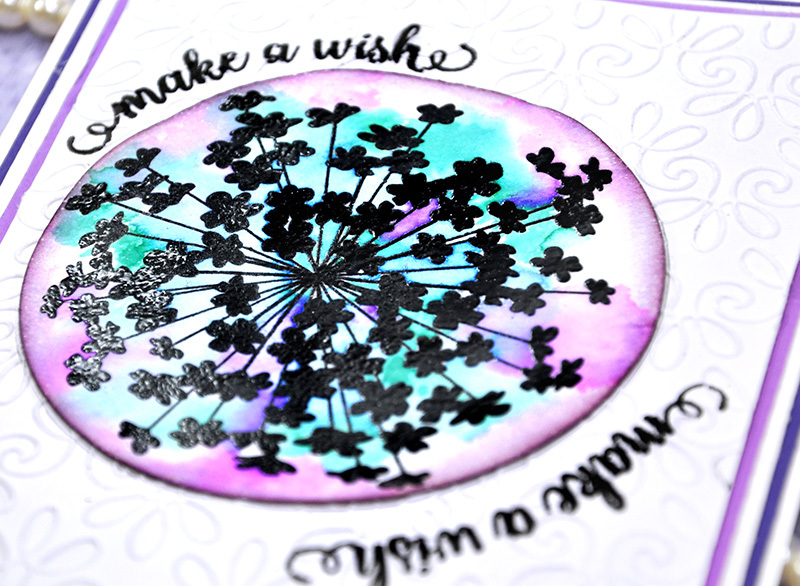 Next I colored my stamp using Watercolor Brushes and some Tim Holzt Distress Inks. a with a Seedless Preserves and Peacock Feathers. Step 1. After your artistic image has been created, draw a circle in pencil around the stamped image. 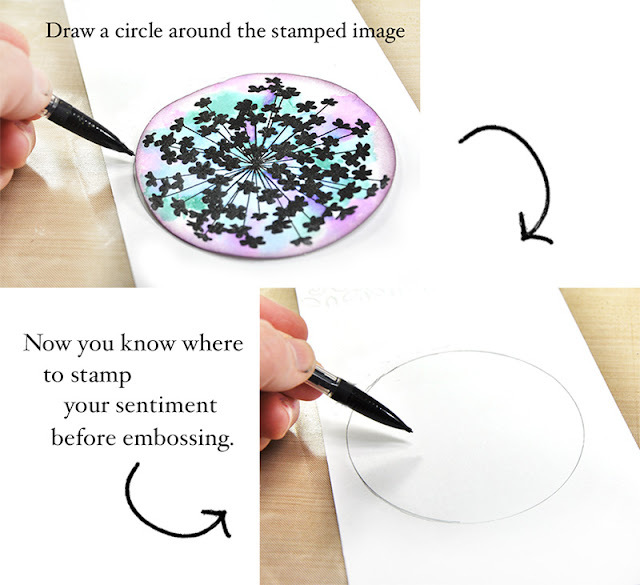 This helps you determine where your stamped sentiment will be placed. Step 2. The clear stamps are flexible and I thought the sentiment would look great mirroring the curve of the circle so that's how I placed the stamp on my clear stamp block. Step 3. 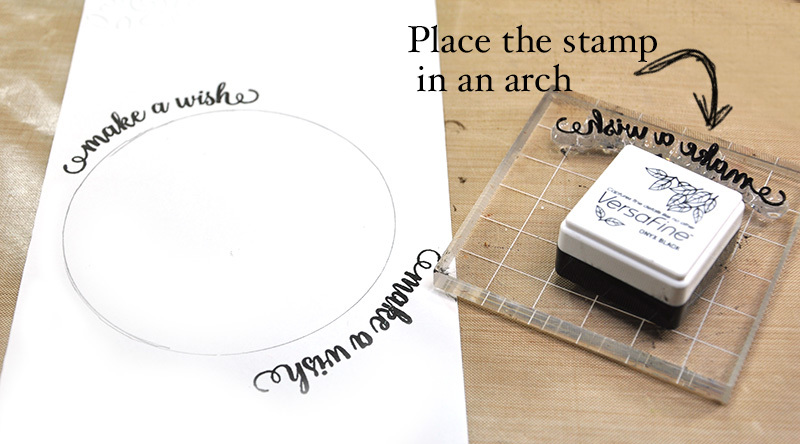 After the sentiment is stamped, you can then emboss. I used Spellbinders Flourish Stitch Em-bossing Fold'ers Quilt It. Here is one last image of the ( successfully) completed card. For the Love of Halloween! 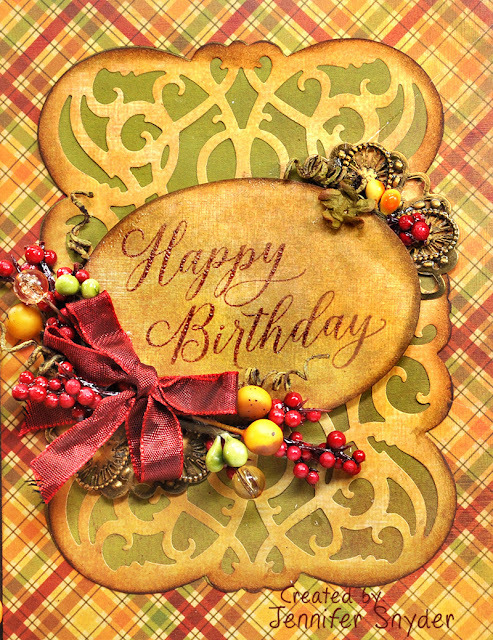 Here's an enchanting card I made with love. Clearly many folks love all things Halloween. It's wild popularity has some websites suggesting it to be the second biggest holiday next to Christmas. Count me as one of those folks who adores the decorations and festivities of this quirky, fun holiday. 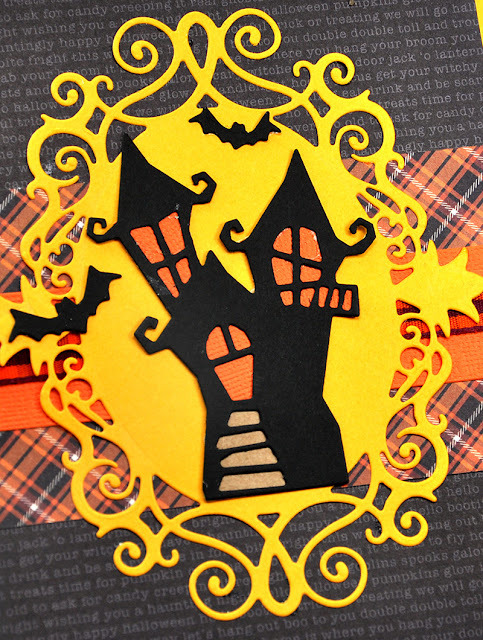 Spellbinders has given us Halloween fanatics some hauntingly wonderful products to celebrate the season. 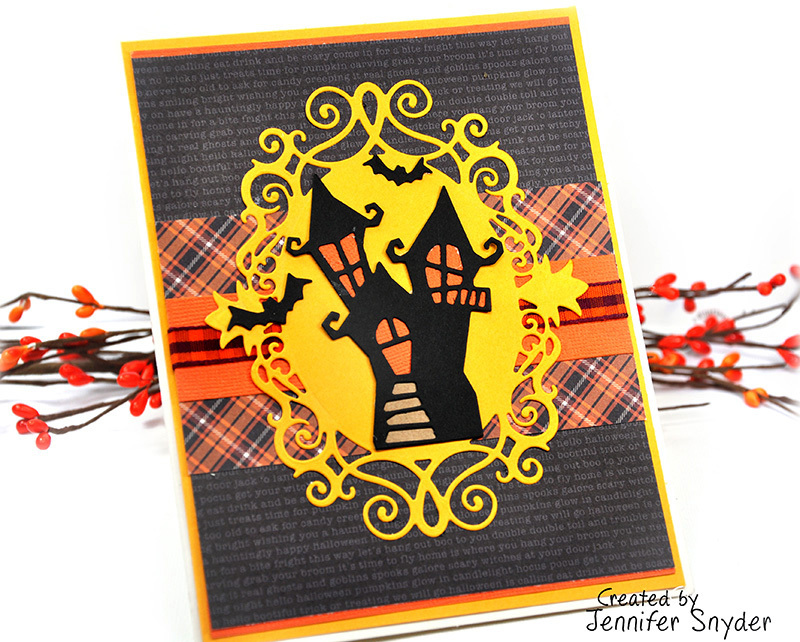 I created a shaker card to send to a family member enchanted by Halloween. I thought the Spellbinders - Nothing But Love Stamp by Tammy Tutterow would be a cute twist to use on the background of my card. 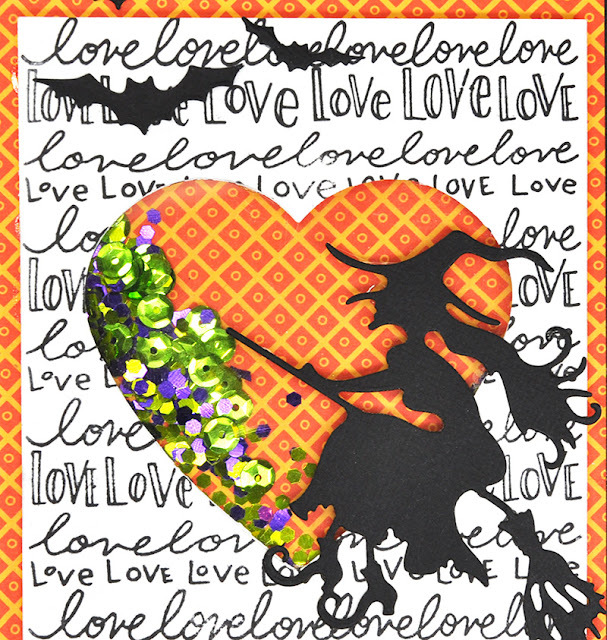 After all, it's all about the LOVE of all things Halloween. 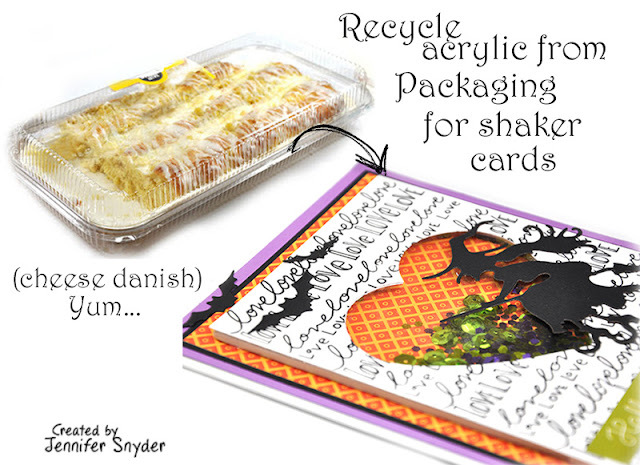 Scroll down the blog post and I'll share my handy recycle tip and money saving for shaker cards. Here is a better image to show the dimension of this card. And aren't those bats simply darling? Don't have any acrylic to make a shaker card? This is what I do....I eat the rest of the baked goods I bought for the family - this one happens to be the beloved cheese danish. Just wash and dry and instantly I have acrylic that's proudly been recycled. Better yet, have a friend over and share the goodies. Eat, laugh and make a day crafting together creating Spellbinders shaker cards. The possibilities are endless - baked goods, fresh fruit and veggies, packaging from your crafts and crafting flowers....search the house high and low, then eat up! .....but PLEASE be mindful of products with allergens like peanuts if you are giving cards to others. Thanks for stopping by. Have a bewitching Halloween season. 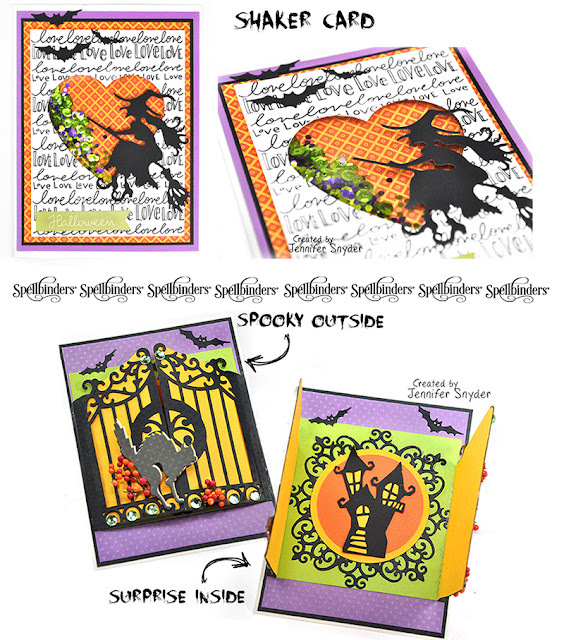 Here's a link to shop for Spellbinders Halloween goodies. 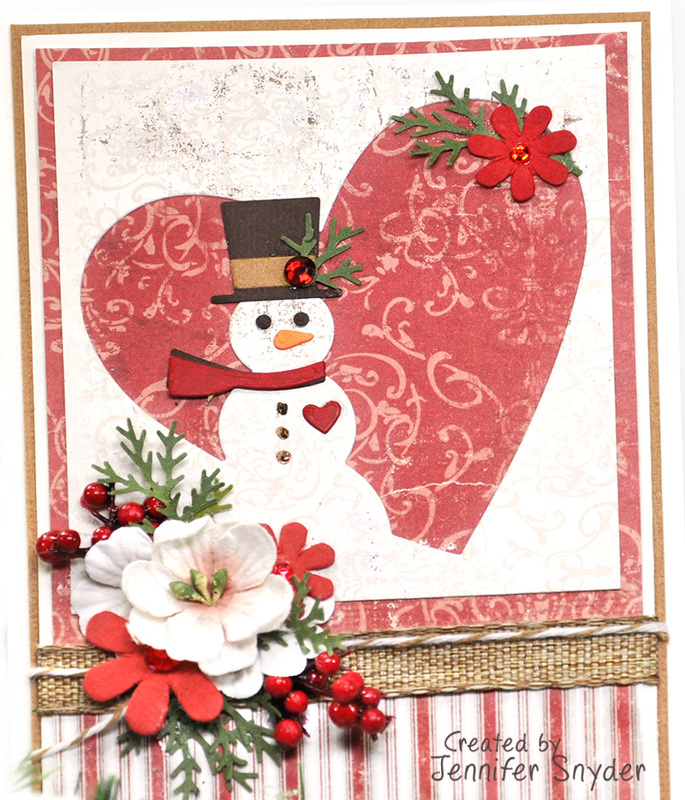 Here's a link to the gorgeous "Nothing But Love Stamp" by Tammy Tutterow. Snowman season is upon us so I thought I would create snowman cuteness. 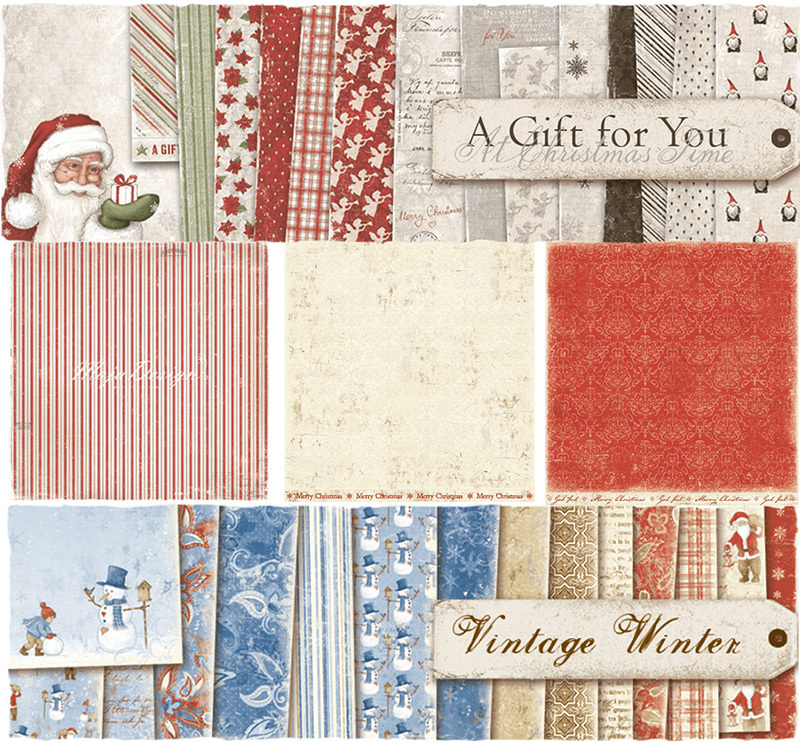 I'm here to share a card I made by combining two Maja Design holiday collections: Maja Design - A Gift For You and Maja Design - Vintage Winter . I love that the collections can often be used together. That's part of the magic of Maja Design. 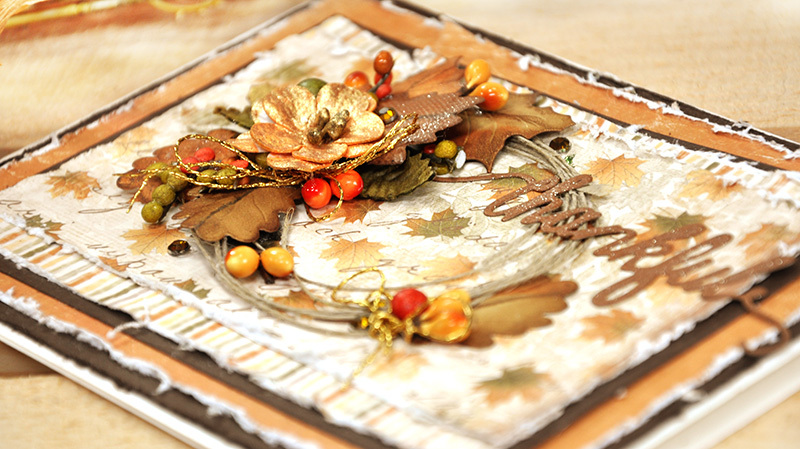 We all know that paper and papercrafting products aren't cheap, so make the most of your supplies! That's the added value of Maja Design collections. While some of the papers in the Holiday/Christmas collections certainly have images that are "themed " for the holidays, the B sides of the papers offer prints that can be used for any occasion. 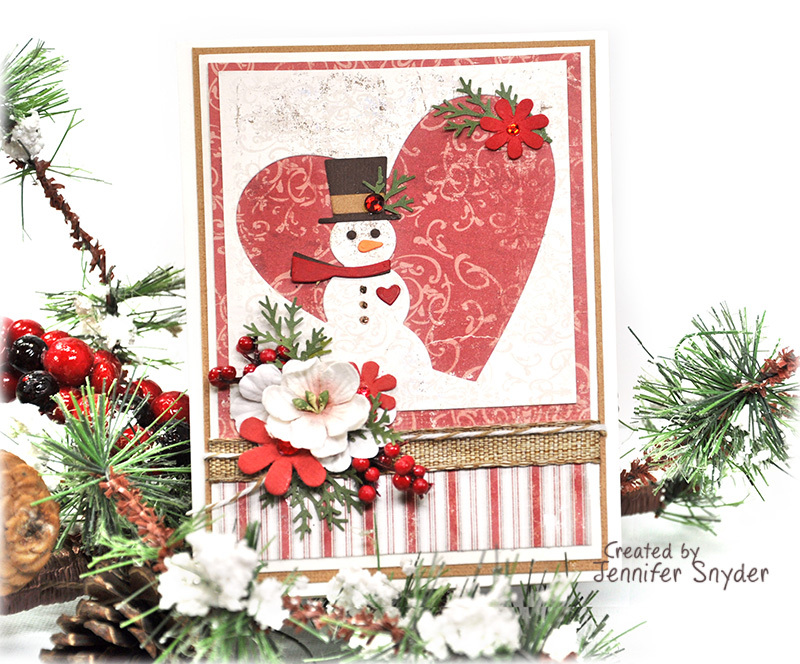 My darling snowman die is from Memory Box die - Snowman Heart Collage . I think it's adorable. 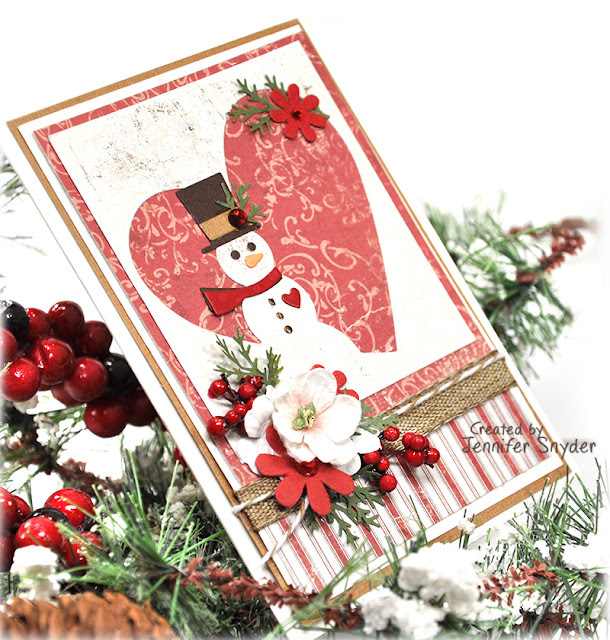 Accented with some Flowers, pine branches and he's all set for the Holidays. Thank you for choosing to spend your time visiting. 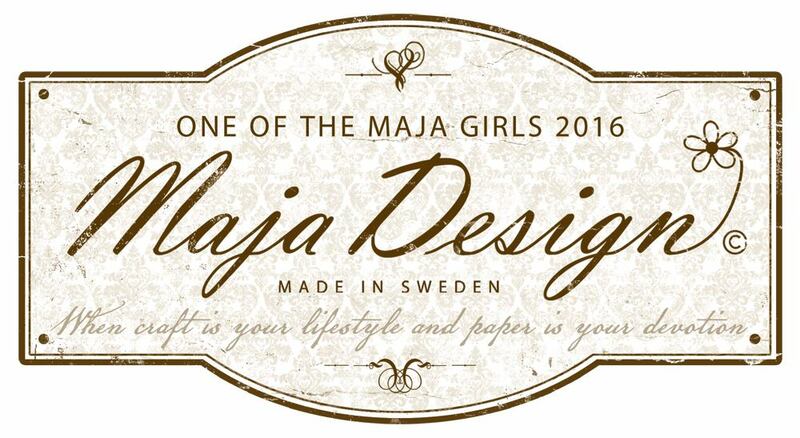 Buy the Maja "A Gift For You" collection here. Buy the Maja " Vintage Winter" collection here. I'm feeling thankful. While it may feel like life is spinning out of control, the world has gone crazy and work/family/life is stressful, remind yourself of the many reasons to be thankful. Thankful for supportive family, friends and co-workers. Thankful for health and a warm home. Thankful that everyday is a new day to start over. 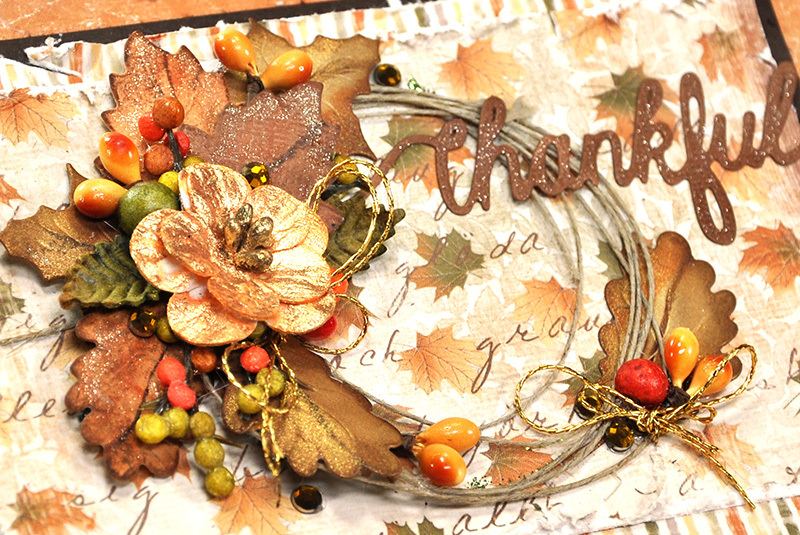 And let's not forget to be thankful for the simple things in life that bring us joy...for a papercrafting hobby that brings peace, happiness, a way to relieve the stresses of the day through beautiful papers and crafting supplies. to thank for this. 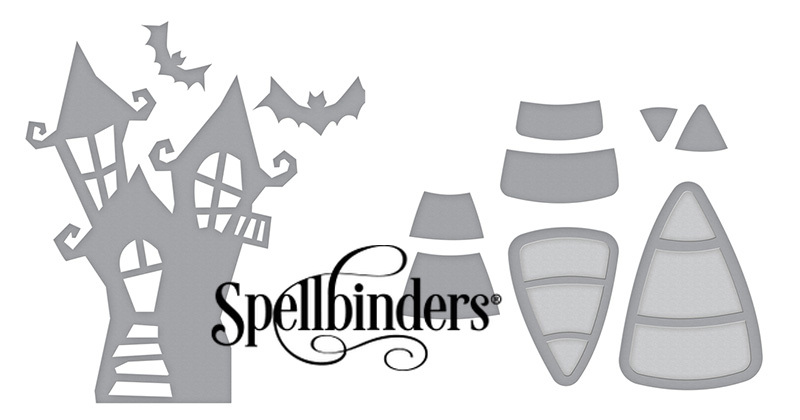 Or more specifically Spellbinders Die D-Lites. 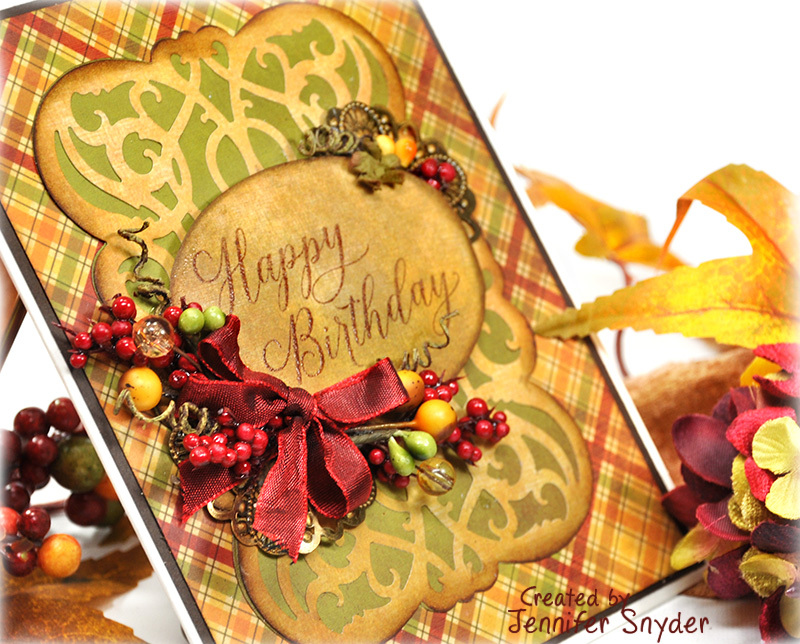 I used Maja Design - Walking in the Forest paper collection and topped with leaves and the perfect sentiment from Spellbinders Die D-Lites - Fall Leaves Holiday 2017 to make this card pop to life. I made a card for a person who has helped me in my job for 10 years. She is a treasured client of mine and is moving to a new position. I value her assistance and level-headedness in the times when work seems like it can gobble me up. 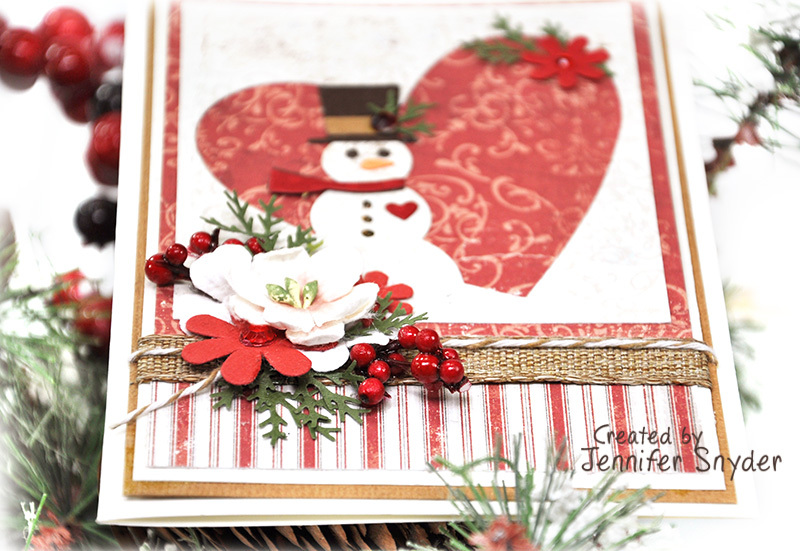 Here are a few more closeups of the papers and embellishments on my card. 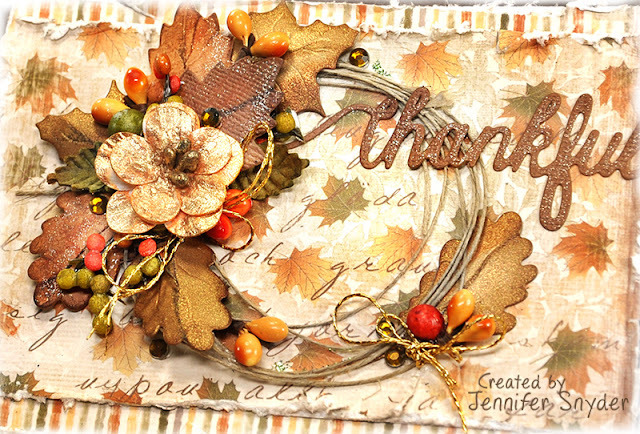 I am thankful for your visit and support. May your Autumn season be full of reason to be thankful. Buy the Maja "Walking in the Forest" collection here.